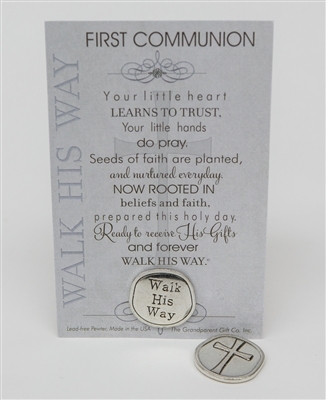 Handmade in the USA this lead-free pewter coin is a unique and meaningful First Communion Day gift. 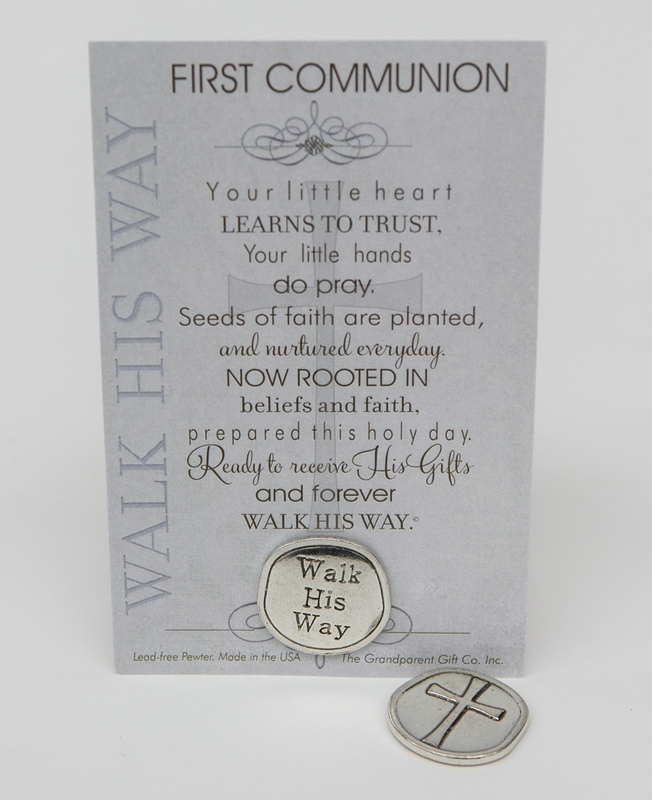 Our 1" round coin reads, "Walk His Way", a daily reminder of the young person's path. Whether carried in a wallet or kept at a bedside or desk, the pewter coin and beautiful sentiment card will be something to treasure. A one of a kind gift and message will be treasured. This well crafted coin also features a cross image on the back side as shown.